Since 1976 we have opened our doors to the imaginations of theatre makers in this country and beyond. Few people know that the Great Hall was once even Greater - in fact, it was twice the size. Tipped as the ‘largest room in the world’, this colossal space was one of the world’s centres for cotton trade until the Second World War, when the building took a direct hit during the Manchester blitz. Reduced in size but not stature, the Hall was repaired and saw continued trade until 1968: if you look up, you can still see the original trading board with the day’s closing figures. 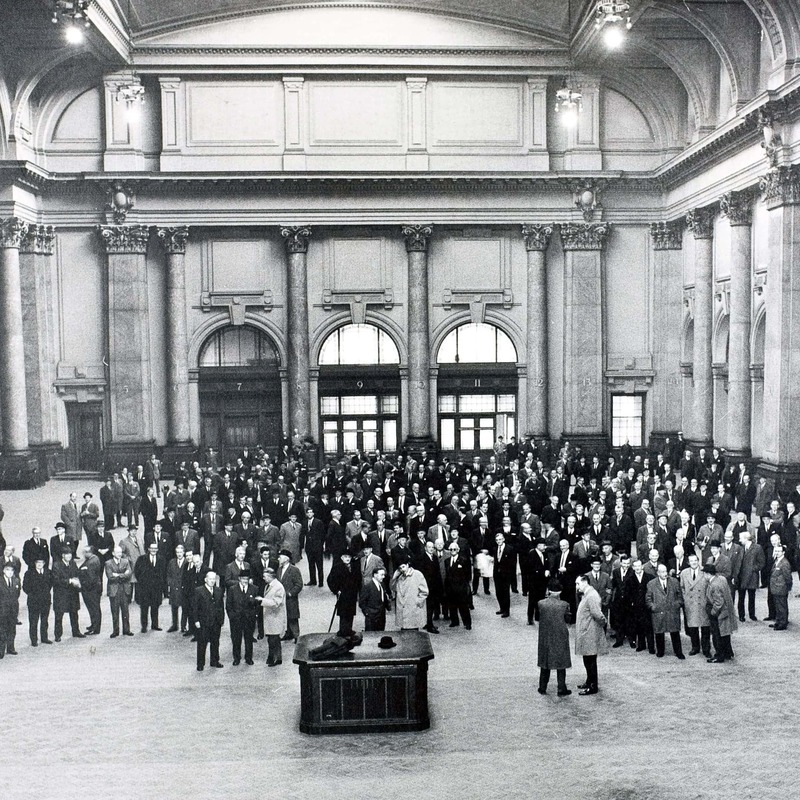 Threatened with demolition and lying unused and empty, the Royal Exchange building finally looked set for a brighter future when a theatre company took up residence in 1973. Under five artistic directors - Braham Murray, Casper Wrede, Michael Elliott, Richard Negri and James Maxwell, and soon joined by Greg Hersov - the Royal Exchange Theatre Company was officially founded in 1976, along with the largest in-the-round theatre space in the country. It may look like a lunar space craft, but the seven-sided theatre module really is a feat of engineering. Weighing in at 150 tonnes, the module is far too heavy to be supported by the floor of the Great Hall, but a stroll around the theatre soon reveals the solution: the module is “suspended” from four of the Hall’s enormous columns, leaving only the ground-floor seating and stage area to rest on the floor. World War II was not the last time the building was to be damaged by an explosion. In 1996 an IRA bomb was detonated less than fifty metres away from the Royal Exchange building. The resulting explosion devastated the building, and it would take two years, a lot of fundraising, and over 32 million pounds from the National Lottery to repair the damage. During this time the Royal Exchange Theatre Company could be found performing in an indoor market building in Castlefield. Re-opened in 1998 by Prince Edward, the refurbished Theatre opened with a production of Stanley Houghton's Hindle Wakes, the same play that had been running when the bomb went off. 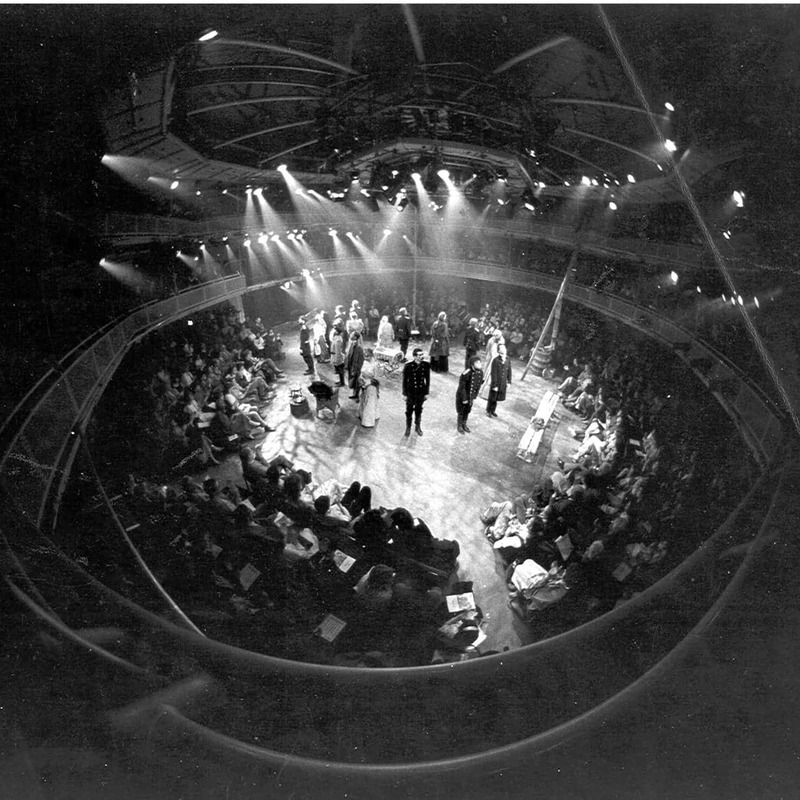 Over the years the Exchange has welcomed some of the finest actors in the UK to its stage, from Albert Finney, Leo McKern and Tom Courtenay in the Theatre’s early days through successive generations including Vanessa Redgrave, Helen Mirren and Robert Lindsay, to figures such as Maxine Peake and Cush Jumbo. It has also had a reputation for spotting young actors before they become household names. Both Kate Winslet and Hugh Grant appeared at the Royal Exchange Theatre long before they made it to the silver screen. In 2008, Sarah Frankcom was appointed Artistic Director, becoming the Royal Exchange Theatre’s first sole Artistic Director in 2014 on the departure of Greg Hersov. Braham Murray stepped down as Founding Artistic Director in 2012 after 36 years with the company. With Associate Artists Maxine Peake, Benji Reid and Chris Thorpe on board, and Associate Artistic Director Matthew Xia joining the creative team in 2014, the future of the Royal Exchange Theatre is as bright and exciting as ever, so why not pay us a visit and get involved?